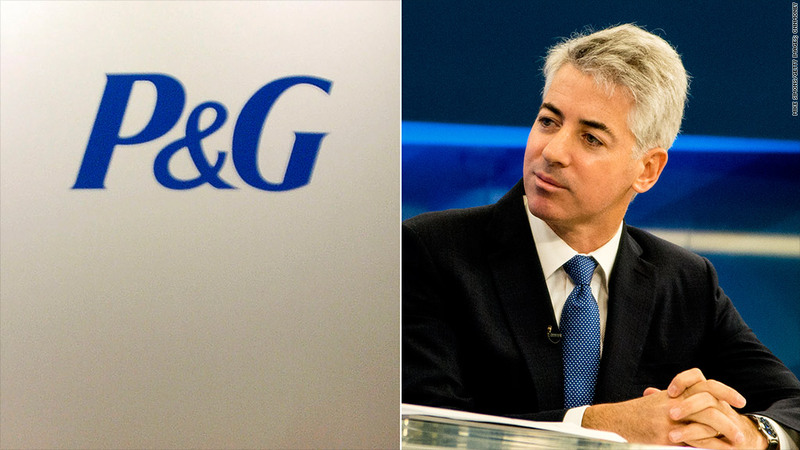 Activist investor Bill Ackman, right, has gotten the management change he wanted at P&G. Under pressure from activist hedge fund manager Bill Ackman, Procter & Gamble has replaced Chairman and CEO Bob McDonald with its former chief. The nation's largest consumer products company -- the maker of iconic products such as Tide, Pampers, Crest, Duracell and Pepto-Bismol -- announced late Thursday that McDonald, 59, is leaving the company effective immediately. A.G. Lafley, 66, who served as CEO from 2000 through 2009, returns to be both CEO and chairman. Shares of P&G (PG) were up in morning trading. McDonald is a 33-year employee of P&G, having served as CEO since Lafley's retirement. Ackman said he was pleased by the choice of Lafley. "He certainly knows the company and he had a great record while he was there," Ackman told CNNMoney on Friday. "The only mistake he made was who he picked to succeed him, and now he's going to fix that." Ackman, head of Pershing Square Capital Management, has been one of most vocal critics of McDonald's leadership. 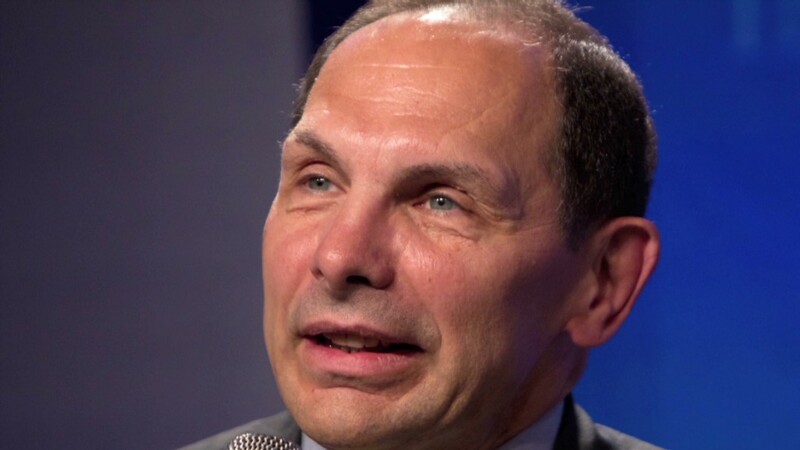 In January, he told CNNMoney he thought it was unlikely McDonald was the right CEO for the company and that the senior management team at P&G had also lost the confidence in him. "We've heard that time and time again," he said. "Once you lose the confidence of the senior executives, it's hard for him to be effective." At the Sohn Investment Conference in New York earlier this month, he wanted to see least 5% annualized growth and some major cost cutting at P&G. Ackman said at the conference that the P&G's board is "first class," and said he expected the board to make the right decision. He also said McDonald was spending about 25% of his time serving on other boards -- which P&G spokesmen disputed, saying that Xerox (XRX) was the only other corporate board on which McDonald served. Pershing Square has a 1% stake in P&G, making it one of the 10 largest institutional shareholders in the company, according to share tracker LionShares. About 21% of Pershing Square's portfolio is invested in P&G, according to the service. Ackman was not the only critic of McDonald's performance. On a conference call with investors a year ago, Ali Dibadj, analyst with Sanford Bernstein, pointed out that P&G competitors such as Unilever (UL), Johnson & Johnson (JNJ), Colgate-Palmolive (CL) and Kimberly Clark (KMB) were all reporting better growth and profit margins in some of the products, such as beauty care. Dibabj asked executives, "How long do you expect investors to wait? How long does your current plan have to work? How much patience does the board have?" McDonald only responded that management was working hard and expected to see better growth ahead. But the growth was slow to come. Revenue in the most recent quarter was only up 2%, although cost-cutting efforts allowed it to post a 5% gain in earnings per share. P&G shares have not lagged behind the broader markets so far this year. The stock is up almost 16% through Thursday's close, about the same amount as the S&P 500 and the Dow Jones industrial average, of which it is a component.